Personal Injury Attorney in Lake Mary, FL | David R. Heil P.A. Did your injury or disability occur as a result of the recklessness of another person? You need advice from an expert Personal Injury Attorney Lake Mary to offer you the needed assistance to help you pursue your case strongly. Attorney David R. Heil, PA is a well-known Lake Mary Personal Injury Attorney and has the needed resources and years of experience required to offer you a strong representation in your personal injury case. For several years now, he has been helping several victims all over Lake Mary, FL, to get back their lives after a personal injury. Attorney David Heil is your trustworthy Lake Mary Personal Injury Lawyer that is always ready to help pursue your personal injury case strongly. He will do his best to Ensure that you get a substantial amount of compensation for your injury. With this, you will be able to start getting your life back on track. Getting injured is a stressful time. When the injuries that you have sustained are the result of another person’s negligence the stress you are under can dramatically increase. During these times you need to have an experienced personal injury attorney to help you navigate. 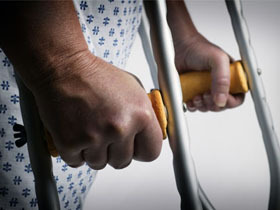 Attorney David R. Heil, PA is your dependable and trusted Lake Mary personal injury attorney. Providing first-class representation that is professional, attentive and respectful of your specific needs. Treating each client with dignity, fairness, and integrity is at the forefront of my practice. As a distinguished Personal Injury Lawyer Lake Mary, he uses his understanding of the law to help several clients recover compensation for their injuries. From personal injury cases and complex medical malpractice claims to represent victims of dangerous pharmaceuticals and more are just a couple areas David Heil can handle. While some lawyers may pass your case off to an investigator, paralegal or case manager, he will personally handle each case with expertise, sophistication, and professionalism. 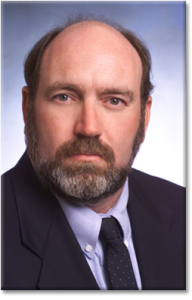 In addition, David Heil covers various aspects of personal injury case. These include worker’s compensation, slip and fall, auto accidents, and so forth. David will Carry out a thorough investigation, and provide all needed evidence that is required to pursue your case. As a qualified personal injury lawyer in Lake Mary, I understand the extremely personal nature of each and every individual case. David Heil will do his very best to ensure compassionate, responsive care that stands above the rest. He believes that each case is unique and strives to understand all facets of your specific situation. David Heil is different from most Personal Injury Lawyer in Lake Mary that passes your case off to an investigator, paralegal or case manager. Every case will be handled by him personally with sophistication, expertise, and a high level of professionalism. The Law Office of David R. Heil, PA remains your reliable Personal Injury Attorney Lake Mary that will carry out the needed assignment, and ease you of the stress, pains, and complexities involved a personal injury case. Are you a victim of personal injury? Leaving you to suffer alone from what happened due to the negligence of another person may not be fair enough. Call us today as your Lake Mary Personal Injury Attorney and receive a Free Consultation. We will fight for rights!